Our practice is well known for helping adults and children with learning difficulties and we also have a special interest in sports vision screening, prescribing and training. As you get older the risk of eye disease becomes ever greater. Of all the risk factors to good sight (which include smoking, diabetes, blood pressure and family history) age itself is the greatest. Early detection and treatment is your greatest defence, so it is never more important that you have regular eye examinations. The back of the eye is the only place in the body where the blood vessels are exposed, unmasked by a layer of skin tissue, and early effects of many systemic diseases, such as diabetes, high blood pressure and heart disease, can be observed in the eye. The eye examination may include techniques like ophthalmoscopy, visual field plots, non-contact tonometry, keratometry and slit lamp examination. Brain lesions in close proximity to the eyeball or impinging on the neural pathways may be revealed through routine ophthalmoscopy and visual field screening. Some conditions directly affect the eye, such as glaucoma, retinitis pigmentosa and keratoconus, and others have secondary effects upon the eye such as arthritis, thyroid abnormalities and MS.
Trauma to the eye can result in injuries such as retinal detachments, oedema, corneal abrasion or penetration. Infectious and allergic conditions may affect any of the delicate layers of tissue in the eye. All of the above are screened for routinely during an eye exam and for this reason REGULAR eye examinations are advised every couple of years throughout your adult life. An eye examination is a vital health check for your eyes. The recommended maximum interval between eye examinations is two years between the ages of 16 and 70 years, and just one year over 70 years. This is assuming that you have no concerns about your eyes, you are seeing well and are unaware of any signs or symptoms of eye disease. It is strongly advised that you seek advice from your optometrist without delay if your vision changes, or if you experience eye strain, pain or discomfort, headaches, redness, discharge, flashes of light or floaters. Never wait until you are actually due an eye examination, as it may then be too late to save your sight. Many eye conditions can be successfully treated ONLY if they are detected in the early stages. Glaucoma is a particular risk because it develops gradually and without symptoms until quite advanced. Untreated glaucoma can result in permanent loss of visual field and ultimately blindness. For this reason it is screened for routinely when over forty and earlier in high risk groups. Glaucoma is a sight threatening disease that interferes with the natural drainage of fluid from the eye’s anterior chamber. 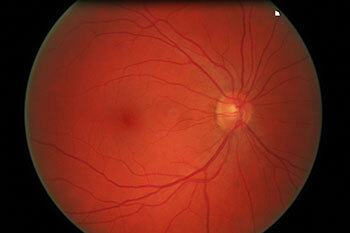 This results in a gradual increase in pressure in the eyeball and compression of the blood vessels feeding the retina. Poor metabolism results in degeneration of visual receptors and characteristic areas of field loss. If unchecked this disease can ultimately result in blindness. The good news is that the condition responds well when diagnosed and treated early . The bad news is that because the rise in interocular pressure is very gradual, there are few symptoms until there has been considerable field loss. 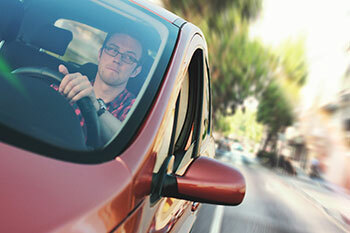 For this reason screening tests for glaucoma starts routinely around aged forty. The risks increase with a history of glaucoma in the immediate family, and with increasing age, so eye tests are free to those over 40 years who have a parent or sibling with glaucoma and glaucoma screening is routine in adults over 40 years. This is a basic eye examination funded by the National Health Service. It generally assumes full development of the visual system and concentrates upon the eyes and visual pathways. Emphasis is upon quantitative measurements of sight and binocular (two eyed) function under relaxed conditions. Refractive or focusing errors are measured for each eye and related to sight and any presenting symptoms. Compensatory lenses and protective filters are prescribed where required. The National Health Service Eye examination looks at the health of the eyes and related structures and screening is carried out for glaucoma, systemic disease and pathology where it affects the eyes. Further investigations, monitoring and referral to GP for treatment are undertaken where necessary. Some further tests may incur additional costs. This testing is suitable for individuals who have generally good concentration, fair to good reading and writing skills and good balance and general body co-ordination. This “routine” Eye Examination really assumes a fully developed visual system with little or no immaturity and, as such, is rarely adequate to pinpoint the type of deficiency in visual function frequently responsible for difficulty in the learning environment. If previous examinations have failed to fulfil a visual need, or there are classroom or workplace difficulties or a specific sporting requirement, then you may wish to consider a Behavioural Vision Assessment.